Kenneth D. Tuchman sees the world from the customer’s perspective. In 1982, fed up with the way businesses were operating customer care as a burden and a cost center, he founded TTEC to transform the way companies deliver the customer experience. With his innate understanding of the power of data and technology to connect customers directly with brands, Tuchman saw the customer experience revolution on the horizon and built a company to lead it. His perspective on the importance of the customer as a strategic asset fuels TTEC's culture of technology innovation and operational excellence. With a holistic approach that integrates strategy, process, technology, and execution capabilities, TTEC helps its Global 1000 clients turn the complexities of customer care into a seamless competitive advantage that delivers customer loyalty and long-term sustainable economic growth. Tuchman is TTEC's chairman of the board of directors and chief executive officer. 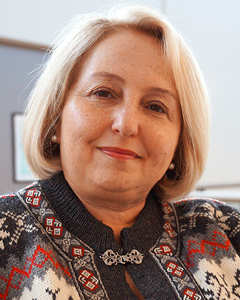 As TTEC's chief financial officer, chief administrative officer, and executive vice president, Regina Paolillo leads TTEC's finance, treasury, and accounting functions, as well as the enterprise human capital, strategic sourcing, enterprise risk management and mergers & acquisitions teams. 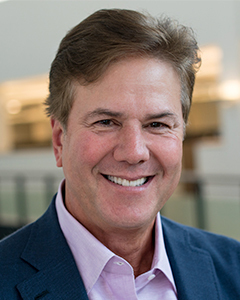 Prior to joining TTEC, Paolillo was the CFO and EVP for Enterprise Services for the TriZetto Group, Inc., a privately held company providing technology-enabled solutions to the healthcare industry. 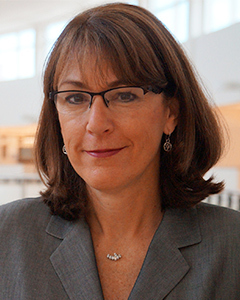 She has also held CEO, CFO, and other executive leadership positions at General Atlantic. Prior to General Atlantic, Paolillo served as CFO, COO, and ultimately CEO at Creditek. After Creditek was acquired by Genpact (NYSE: G), Paolillo became the executive vice president of Revenue Cycle and the Mortgage Services Division. Before Creditek, Paolillo was the CFO and EVP of Corporate Services at Gartner, Inc. (NYSE: IT). In addition to her role at TTEC, Ms. Paolillo is a member of the Board of Directors for Welltok, and for Unisys Corporation (NYSE: UIS). 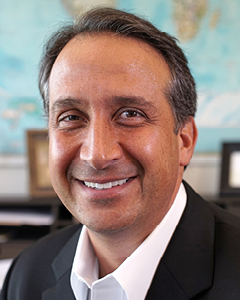 Martin F. DeGhetto serves as TTEC’s Chief Operating Officer, Customer Management and Customer Growth Services. DeGhetto joined TTEC as Executive Vice President of Operations in 2010 and assumed the responsibilities for TTEC’s information technology in 2012. Between 2008 and 2010, DeGhetto was an executive vice president and chief operations officer commercial division at Connextions, Inc., a privately held technology and business services company for healthcare industry. Prior to Connextions, DeGhetto spent almost a decade at Convergys Corporation, (NYSE:CVG) a customer management company, where he held various positions of increasing responsibility culminating in his role as a senior vice president, North American/European operations which he held between 2003 and 2008. Prior to Convergys, DeGhetto was an executive with American Express Company and AT&T/American Transtech. As Chief Revenue Officer for TTEC, Judi Hand leads the global sales and marketing team and is responsible for generating over $400M a year in new business across customer management, growth, technology and strategic consulting. Hand has more than 25 years of experience in sales, operations and marketing at multiple global firms. Her previous executive experience includes Senior Vice President of Enterprise Sales with AT&T, Vice President of AT&T Business Services for small and mid-sized markets, Senior Vice President of Sales and Customer Care at Qwest for small business and consumer markets, Chief Marketing Officer for US West Dex and Executive Director of Solutions Marketing and Director of Market Strategy Development for US WEST. She holds a BSBA in communications and marketing from the University of Nebraska and an MBA from Stanford University. 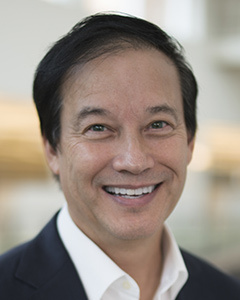 As TTEC’s Chief Information and Innovation Officer, Tony Tsai is responsible for design and delivery of all technology, information systems and shared technology services at TTEC. Prior to joining TTEC, Tony led innovation at UST Global, where he was responsible for innovation strategy and implementation of a global portfolio of over 80 innovation efforts across several industries and clients. Previously, he held leadership positions in multinational organizations including Fresh & Easy Markets, The Beijing Hualian Group and Procter & Gamble (P&G). In his over 25 years of experience in P&G, Tsai led large global teams in the areas of product management, innovation and information technology - creating and driving innovative, industry-leading solutions for some of their most prominent brands. Dave Anderson is responsible for helping TTEC further advance the company’s consulting practices and drive market adoption of TTEC’s enterprise technology, growth and care solutions. Mr. Anderson has more than 20 years of experience advising clients in strategies that accelerate revenue growth and drive differentiated customer engagement. Focus areas include sales and service execution, marketing, channel optimization, digital customer engagement and organizational transformation strategies. Prior to joining TTEC in 2018, Anderson was Global Managing Partner, Front Office Strategy and Transformation Services for Tata Consulting Services (TCS). Previously he held leadership positions with IBM's Customer Experience Strategy and Transformation Services and Steeple Chase, a boutique strategy and advisory firm, where he was a founding partner. 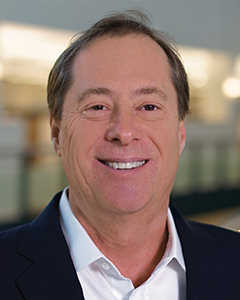 In addition to his consulting experience, Anderson has held leadership roles in sales, marketing and business development for Motorola and Opsware. He holds an MBA from University of Michigan Ross School of Business. Steve Pollema oversees the design, delivery, and profitability of TTEC’s Customer Technology Services division. Pollema has over 25 years of experience in systems integration and management consulting, including significant client-focused experience in large-scale system development and maintenance, project management, and business planning and development. Pollema joined TTEC in 2011, when the company acquired eLoyalty, LLC. Previously, he held various positions within MarchFirst and Accenture. Margaret McLean is responsible for facilitating TTEC’s growth and investment goals from a legal and compliance perspective. She advises the Board of Directors and executive leadership team on matters such as corporate governance, mergers and acquisitions, compliance, and enterprise risk management. 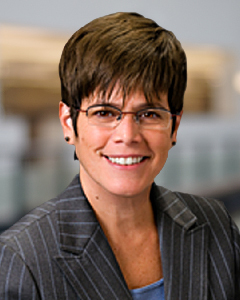 McLean came to TTEC from CH2M HILL, a $7 billion global engineering, construction, and management company where she served as Chief Legal Officer and General Counsel. Prior to CH2M HILL, McLean was Partner M&A, Finance at Holme Roberts & Owen, LLP (now known as Bryan Cave LLP), a large full-service law firm representing U.S. and foreign clients. Michael Wellman leads a worldwide Human Capital organization with a focus on executing an innovative, forward-thinking people strategy to attract top talent and develop, reward and retain TTEC’s more than 40,000 employees. Wellman has an impressive background and over 20 years of experience in creating company cultures that are less about traditional human resources and more about engaging the hearts and minds of employees as a catalyst to build a strong people culture that drives the business forward. 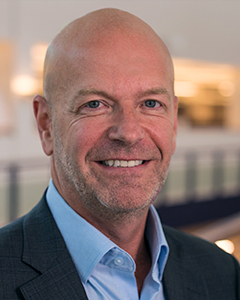 Previous to joining TTEC, Wellman held executive leadership roles in Human Resources in the healthcare, customer experience and hospitality industries, where he led large-scale people strategy development, lifecycle talent management, succession planning, organizational development and human capital transformations. His previous executive experience includes leadership roles at Wellcare Health Plans, Convergys, Sitel, Planet Hollywood International and Hyatt Hotels Corporation.